This brief item details Morrissey’s stint reviewing the week’s singles for Melody Maker. PLUS! 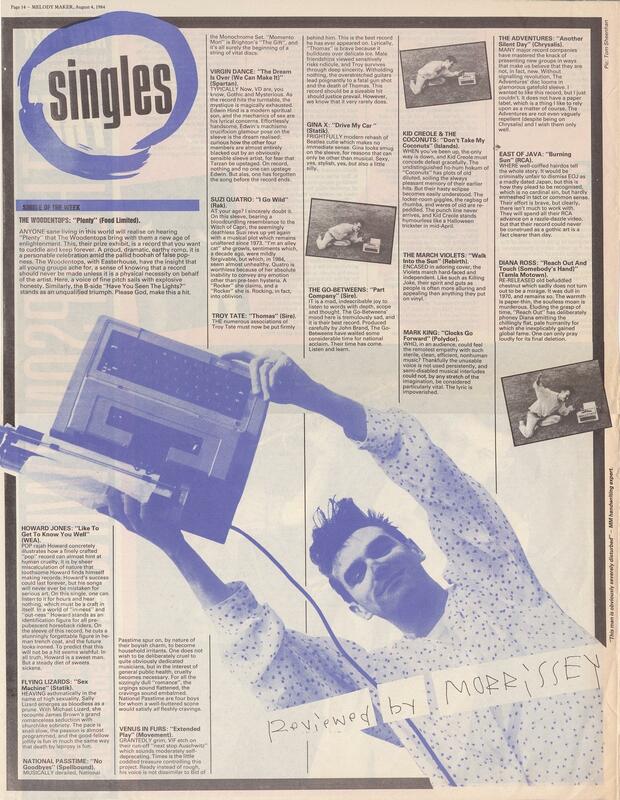 Morrissey’s Singles column in full (MM, August 4, 1984). Note the marginal comment.